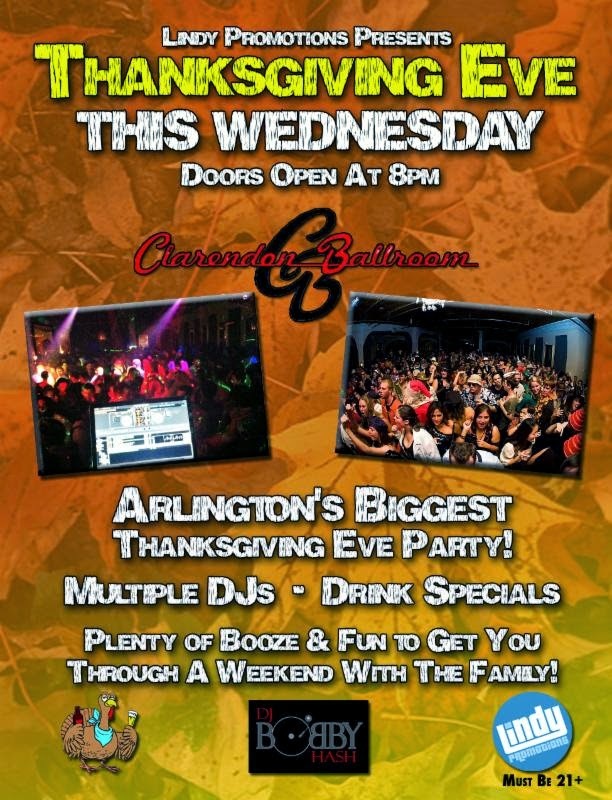 Thanksgiving Eve is one of the biggest party nights of the year with many locals returning to town, and Clarendon Ballroom plans to have a huge crowd at their celebration with DJ Bobby Hash on stage. If you grew up in the area like I did you are sure to be able to meet up with friends from high school or college that moved away, and many local bars quickly become impromptu class reunions. The party at Ballroom starts at 8pm this Wednesday November 26 and Lindy Promotions is on hand to get you drink specials and possible discounted cover charges for early arrivals. Sadly and suddenly, Eventide announced last Sunday November 16 closed its doors for the last time. The high end three story restaurant was one of my favorite places in Clarendon since it opened in 2008 with expensive but well worth it food, a more upscale and intimate rooftop, and first floor bar which tried to be a little more upscale compared to its rowdy neighbors of Spider Kelly's and Clarendon Ballroom. This "Odd Bar" was more of a classy spot where you could order and Old Fashioned, with bourbon, and the bartender would push it across the bar to you with a cane. I loved the second floor beautiful dining hall with extra tall ceilings - built before air conditioning to provide better ventilation in the 1920s - and fun felt doors to the interior booths. Menus usually varied depending what floor you were dining on, but I never had a meal on their second story that wasn't blown over by. We don't have long to wait to meet Eventide's replacement, as ArlNow is already reporting that Don Tito will open their in Spring 2015. One the owners of this new beer and tequila bar is the famous (or infamous if you have a noise complaint out against him) Scott Parker. Two years ago Parker led a redesign of Caribbean Breeze into the successful and controversial Ballston nightclub A-Town, which is best known for its rowdy and over-the-top Sunday Funday brunches. Awesome music venue Jammin Java in Vienna is hosting a benefit concert for Arlington veterans on Saturday, November 15. Local government contractor RazorX2 is organizing the event to raise money for the Rock Out For Vets concert to repair the John Lyon VFW Post 3150 building in Courthouse, which is a century old structure in great need for repair. Two bands will take the stage that Saturday: Fairfax based rock band Traitors N Thieves and Amsterdam. Tickets are $25 and includes open bar and hor d'oeuvres. In honor of Veterans Day this Tuesday November 11, Bracket Room is hosting a fundraiser to help out veterans and military families. This entire week $1 of every Coors Light draft sold will be donated to the Fisher House, the charity that gives military families places to stay when family members are hospitalized, and the Green Beret Foundation which provides immediate financial assistance to Green Berets who are injured in the line of duty. Also, if you show your military ID CAC card at the bar you receive 50% your drink on Veterans Day. Halloween isn't over on Oct 31! 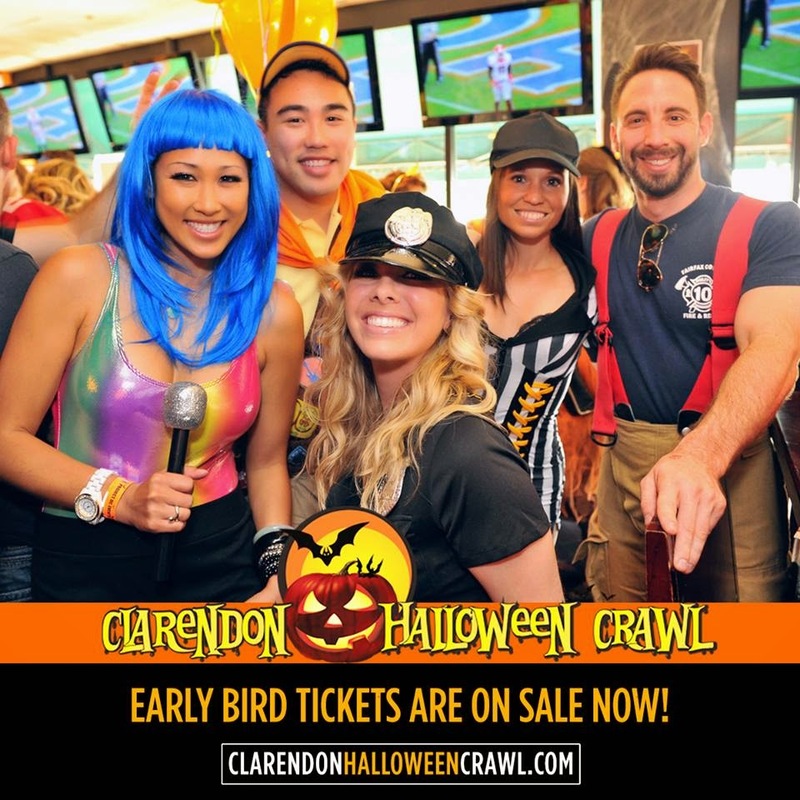 Here in Clarendon the holiday must always span two weekends, so save your costumes for the 2nd annual Clarendon Halloween Crawl on Saturday, Nov 1. Organized by Project DC Events, last year's bar crawl was massive and super fun. Be prepared for hordes of costumed party goers between 2 and 9pm who are taking advantage of each participating venue's specials, raffles and costume contests. Early bird tickets are $10 until this Tuesday Oct 7. Then prices rise to $15 and then to $20 at the door. That price gets you a plastic mug, access to cheaper beer with that mug, $2 Bronx pizz slices, and prize contest entries. Despite all the controversy surrounding Arlington bar crawls over the past year, I'm really looking forward to this one because the costumed crowd was so friendly at the last Halloween crawl. Register at Mad Rose or Clarendon Ballroom to start the day drinking out and expect long lines at both venues. Then hop to any or all the other participating bars, including: Whitlow’s, Spider Kelly's, SoBe, Hunan Number One, Mister Days, Hard Times, IOTA, American Tap Room, and Bracket Room. Brooklyn band Onward Chariots will appear at Galaxy Hut on Sunday, Sept 28.Their catchy beats have gotten positive reviews globally and have been compared to the Beach Boys, the Shits and Belle and Sebastian. Check out their hit video Save Me Maryann for a sample. 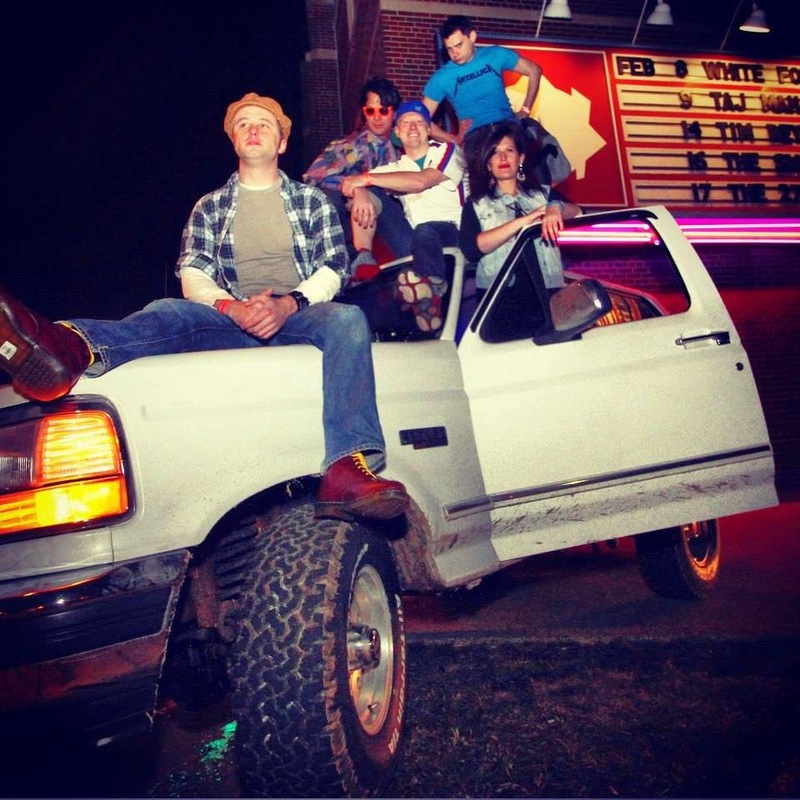 Also appearing on the cozy stage is J Lima Foxtrot and her full band opening at 9pm. Her vocals and indie-synth-pop on tracks like Flashbacks have me mesmerized. Cover is $5 for both acts. 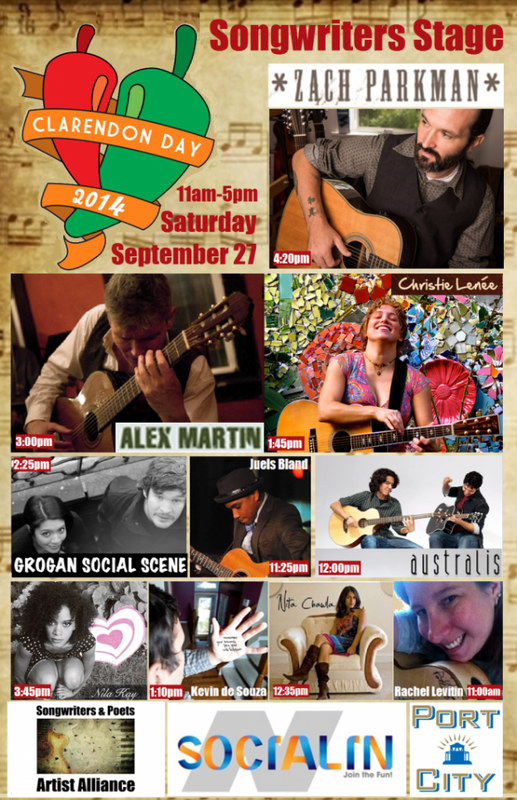 Clarendon Day, our annual giant music, dance, art exhibition and chili cookoff festival is returning this Saturday, September 27. 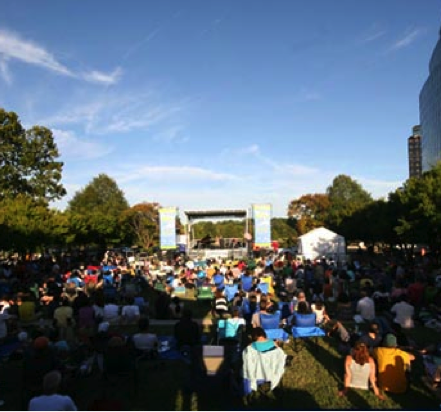 This family friendly event lasts from 11am to 5pm, with 40 bands and musicians on five stages! Come on out to Clarendon Friday Night and Break the Ice this Friday Sept 26 at the Hard Times Café second floor and join a showcase of many of the musical artists of Clarendon Day along with award winning Bluegrass Headliners for the evening and the Highland Stage Saturday Cricket Tell the Weather! $10 cover, or free to all Chili Cook Off Contestants. Event starts at 8pm, music at 9pm. Amazing local talent Margot MacDonald is returning to Iota for a performance this Thursday, Sept 25. 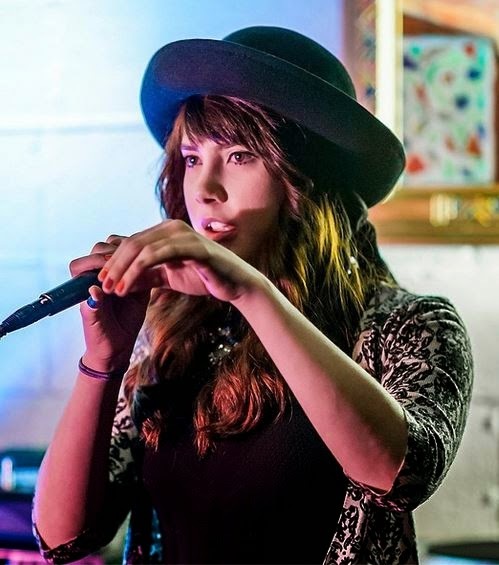 Margot has phenomenal vocal abilities which she uses expertly with on stage live looping. Her music is haunting and memorable, as shown by this rendition of Twice. Margot is joined by Angela Sheik and Carolyn Crysdale on Thursday. Cover is $10 for all three performances and music starts around 8:30pm. Northern Virginia based rock band Invisible Witches plays their third show this Monday night at Galaxy Hut. The show starts at 9pm with David Barker on guitar, Simon Ley on drums and great vocals and bass by Josh Padgett. Cover is $5 and the small but character rich Galaxy Hut can only hold a small crowd so make sure not to miss the show by arriving late. 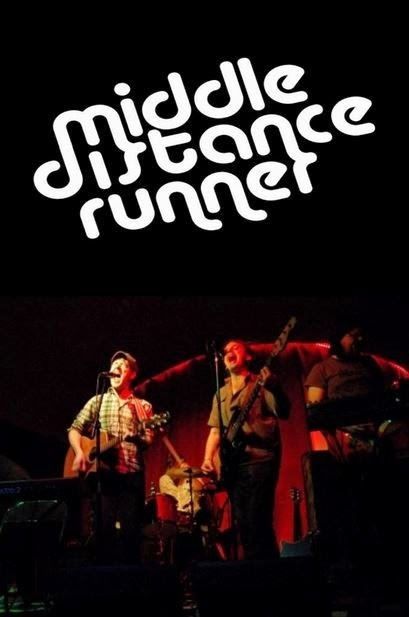 One of my favorite live bands to watch, Middle Distance Runner, is playing at Iota this Saturday, Sept 13. The band has been around since 2005, and I've been attending their shows in Clarendon for the past five years. The pop/rock band has great musical creativity and songs that are very catchy like "The Unbeliever". Music starts at 9:30 with Sun Parade, and then Middle Distance Runner goes on after them with a $12 cover for the night. Beck and Cake fans take over Iota this Friday, Sept 12 for a tribute show by two great local acts. Alex Vans leads the Beck tribute band The New Pollution starting at 9pm. 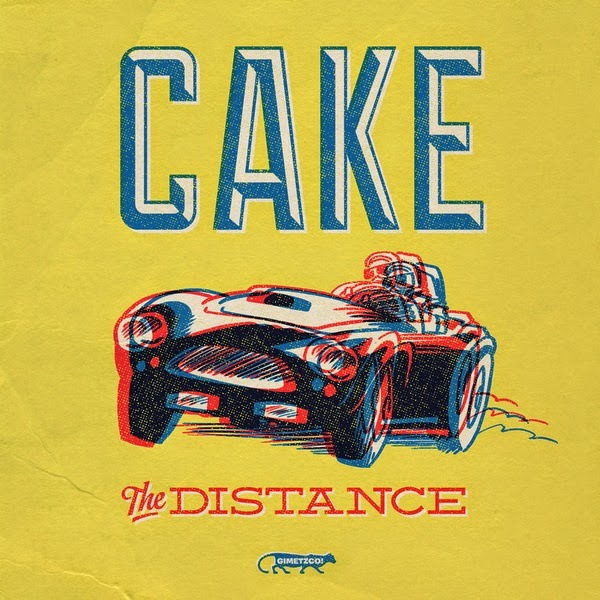 Also that night, the very talented Derek Evry And His Band Of Misantropes take over that stage with Cake songs like "The Distance". This should be a great performance, as Derek did a phenomenal job back in February by channeling Green Day in the Classic Albums of 1994 night. Cover is $12 for both acts. If you are the 75th person to RSVP on the Facebook event page and Alex Vans will give you a free high five, as well as singing your name during their rendition of "Debra". 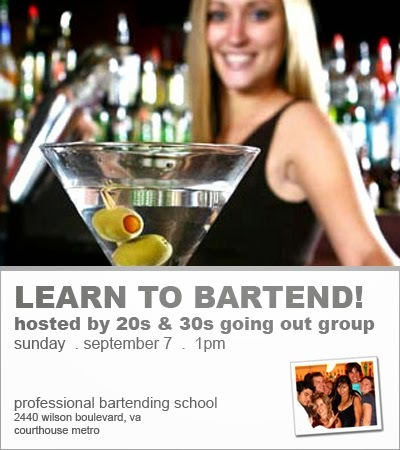 The always active 20s and 30s Meetup group is hosting another bartending class on Sunday, September 7 at 1pm. The Learn to Bartend event is hosted at the Professional Bartending School in Courthouse, right next to Arlington Rooftop Bar and Grill. The organizer JT used to bartend at Ultrabar in DC and got his certification at PBS in Arlington. This is a class to learn to mix drinks, so colored liquids instead of actual alcohol is used. As of Thursday, there are still 8 early bird spots available at $40 per person and price will go up to $50 a week before the event. When Bracket Room was first launched in 2013 by Chris Bukowski of Bachelorette fame and two other owners, there was much criticism over the so called "female friendly sports bar" theme and doubts that it would be successful in the highly competitive bar scene in Clarendon. So far Bracket Room as exceeded my expectations and I'm looking forward to celebrating both the bar's one year anniversary and Chris Bukowski's birthday on Saturday September 6. Starting at 8pm on Saturday, the ladies of Social DC Public Relations are throwing a party with food and drink specials including 312 beers on tap, Gia shooters and Fireball shots. They will also be collecting donations in memory of ABC's The Bachelor contestant, Gia Allemand, who was also one of Chris Bukowski's very close friends. The proceeds will go directly to the American Foundation for Suicide Prevention charity that has just been started in her honor. Darna, the Lebanese/Persian dance club at the western corner of Clarendon, is throwing an End Of Summer Block Party this Labor Day weekend. 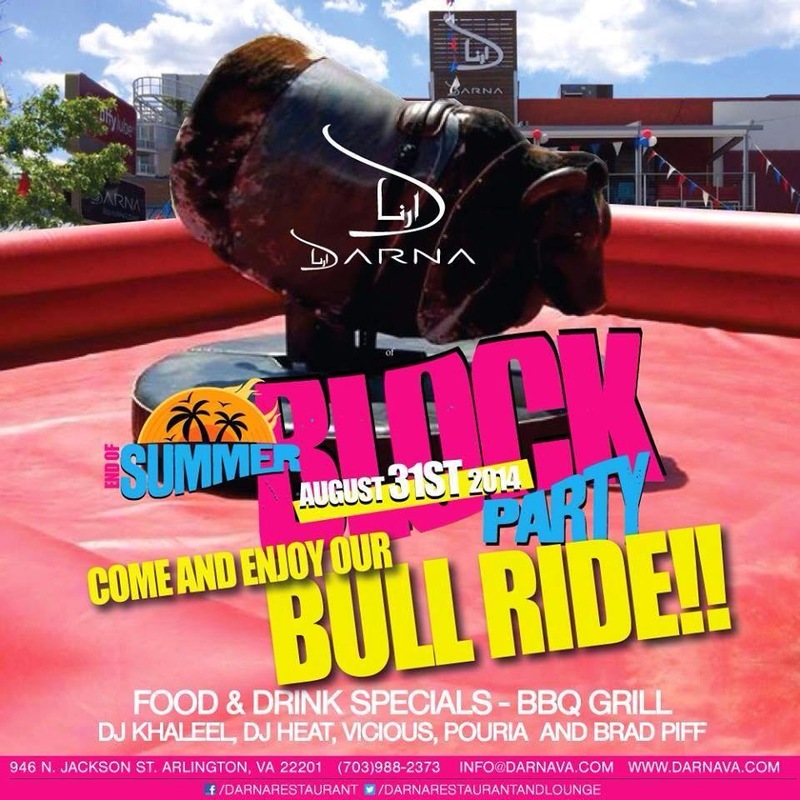 Darna has been open for two years and is known for its lively outdoor block parties, and this one will be no exception with an outdoor mechanical bull ride, BBQ and drink specials. On Friday DJ Heat starts the weekend party, followed by DJ Pouria on Saturday night. The event cumulates on Sunday, August 31 with the block party including DJs Khaleel, Vicious and Brad Piff joining DJs Heat and Pouria. There is no cover charge on Sunday and the party starts at 11am. 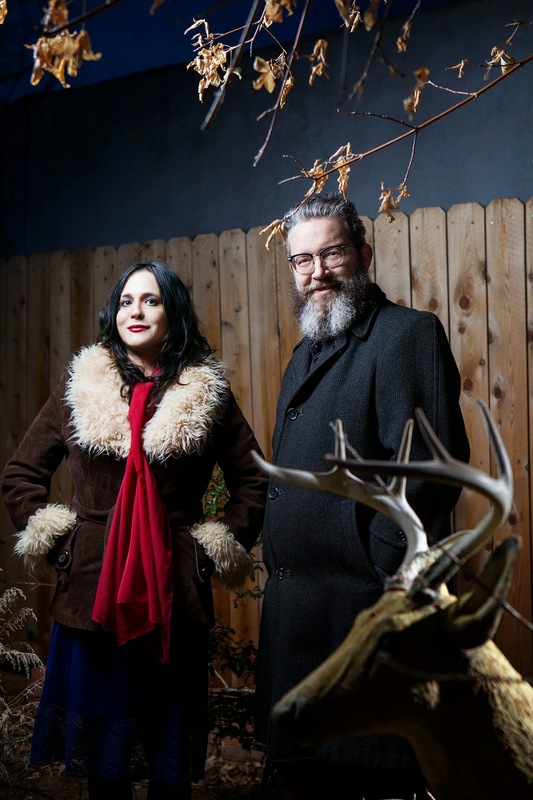 Husband and wife duo The Handsome Family is playing at Iota this Thursday, August 28. Known for the opening credits for HBO's "True Detective", this Americana/country/bluegrass band is sure to sell out this small Clarendon venue. The Handsome Family has been "blending murder ballads with hidden histories" since 1995 that draws on Gothic fiction and American folk music. Richard Buckner opens up for them at 8:30pm. $15 cover. Before that, Iota is playing the Redskins vs. Tampa football game starting 7:30pm. 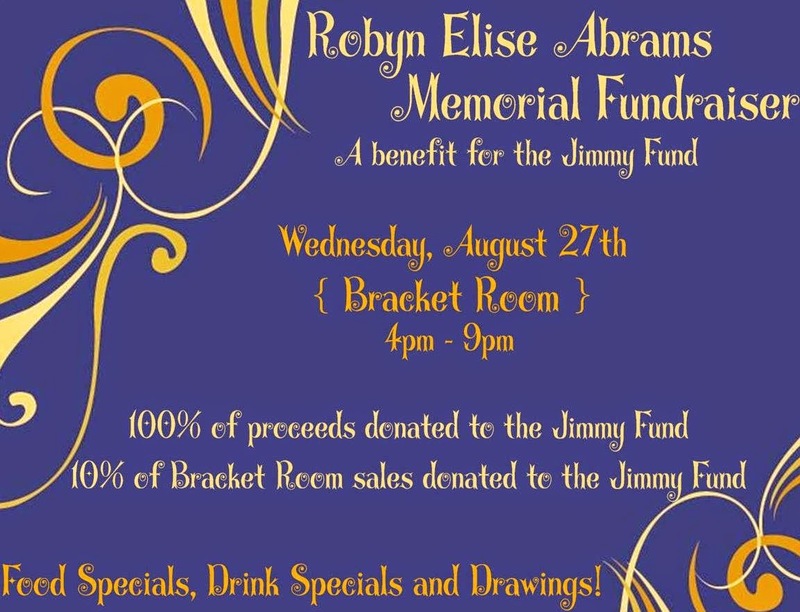 Bracket Room is hosting a fundraiser to benefit cancer research this Wednesday August 27. From 4-9pm, 100% of all donations and 10% of sales will go to the The Jimmy Fund, which solely supports Boston’s Dana-Farber Cancer Institute raising funds for adult and pediatric cancer research. This night is a memorial fundraiser for Robyn Else Abrams, who passed at the age of 9. More info on the Facebook event page, and you can donate directly here. This Friday, August 22 a great indie pop band Air Traffic Controller will be lighting up Iota's stage with catchy songs like "Hurry Hurry" and "You Know Me". The six piece Boston based band was placed on NPR's Hot 100 list for SXSW and named "Band of the Day" by the Guardian UK. The band gets their name from singer Dave Munro's previous profession as an air traffic controller for the US Navy. 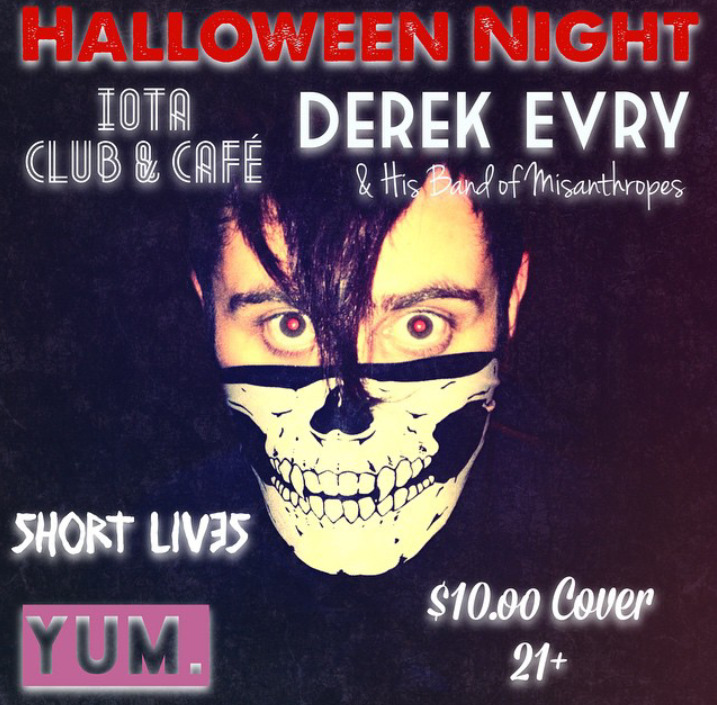 Music starts at 9pm with The Tragic Thrills. Cover is $12 for both bands. 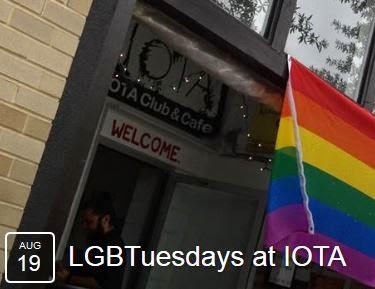 Iota is starting a new weekly event called LGBTuesdays. This Tuesday, August 19 and every Tuesday following promotes a friendly environment for people of all orientations and in association with Northern VA Pride. This no cover event will have happy hour drink specials and half price appetizers from 7 to 9pm. From 7pm until close Mikey Torres will be projecting music videos on the wall. This week the videos will be of Hedwig and the Angry Inch, which is one of Neil Patrick Harris's characters and he is performed as Hedwig live for the last time this past weekend. This Saturday, August 16 a fun bar crawl for a good cause is hitting Clarendon called Light The Bar Crawl. This super hero themed event is raising money for the Leukemia and Lymphoma Society to help fight blood cancers. From 1-5pm four local bars will participate with drink and food specials. Volunteers will be selling apparel and pint glasses with proceeds going to LLS. Whitlows has also stepped forward to pledge 15% of group sales will be donated back to LLS. Last year they raised $8,000 and plan to double that goal this weekend. My favorite local band Invisible Witches is set to have their second show in Clarendon on Monday, August 11 at Galaxy Hut. 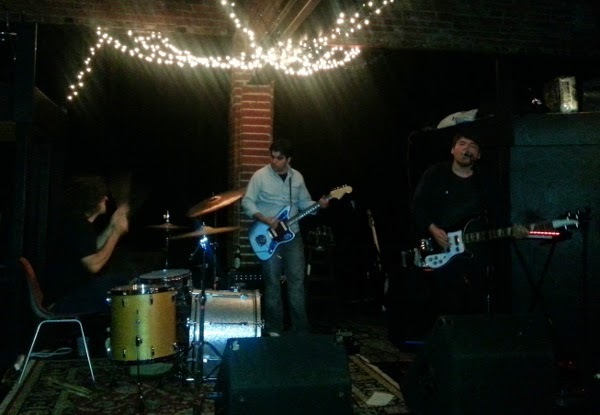 The three piece band made their debut show at Iota last month with David Barker on guitar, Simon Ley on drums and great vocals and bass by Josh Padgett. The music starts at 9pm with Arlington based Koshari opening up for them. $5 cover includes both bands. 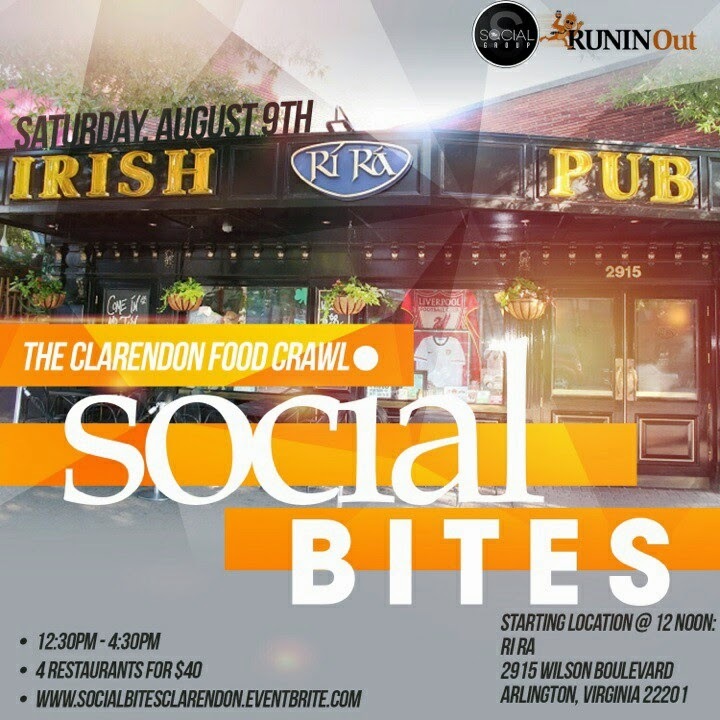 This Saturday August 9, The Social Group and RUNINOut will be launching Clarendon’s first-ever Food Crawl over four restaurants in four hours. 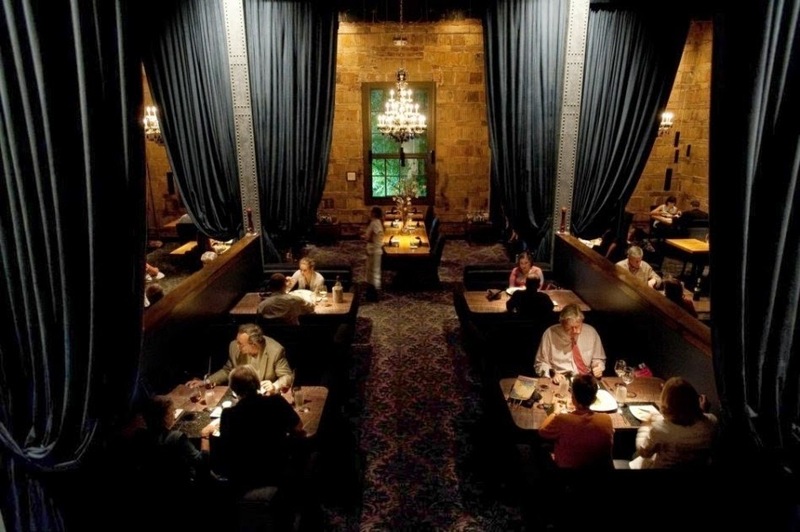 The event will start at 12:30pm at Ri Ra, then at 1:30pm they will split off into two different groups and visit two other restaurants for 45 minutes each and will rejoin for an a final tasting around 4pm. Each location will have drinks specials and will be featuring signature items that best represent their establishment. Tickets are $43 here. 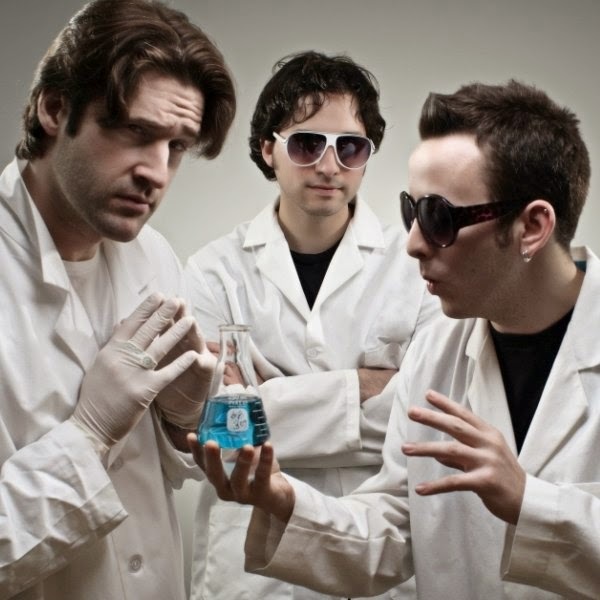 This Friday, August 8 check out local band Practically Einstein on stage at Iota. The Better Than Eza-like rock band has been touring recently showcasing their hit Soldier Girl. Their great rock sound has lead this Arlington based rock band with four albums performed by Brad "Radish" Pugh, Smilin' Rob Kuczynski, Jersey Phil Saraceno and Mark "the General" Kuczysnki. Music starts at 8:30 with Joseph And The Beasts. The $12 cover is well worth seeing Practically Einstein live as they rocked RìRà for their pre-Thanksgiving party last year. 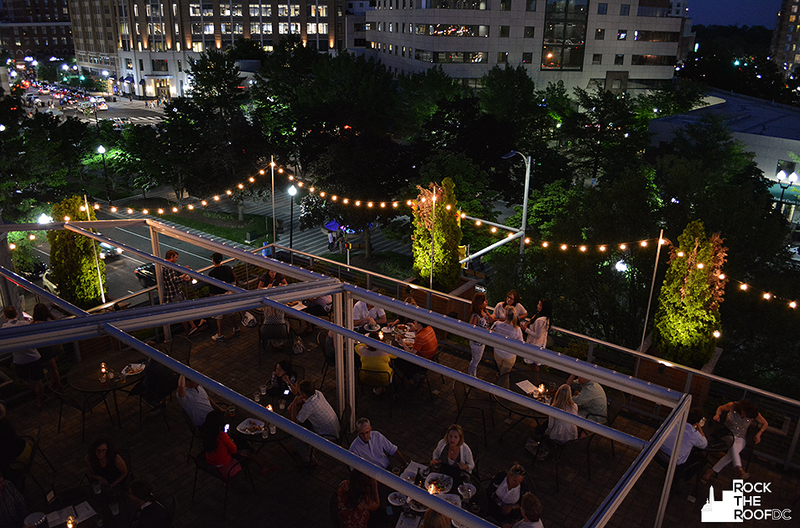 The highlight of summertime in Clarendon are the rooftops, and the rooftop party the night of on Wednesday August 6 is not to be missed if you are into wine. Rock The Roof DC and the Young Winos convinced Eventide to extend their rooftop happy hour to 4-8pm. 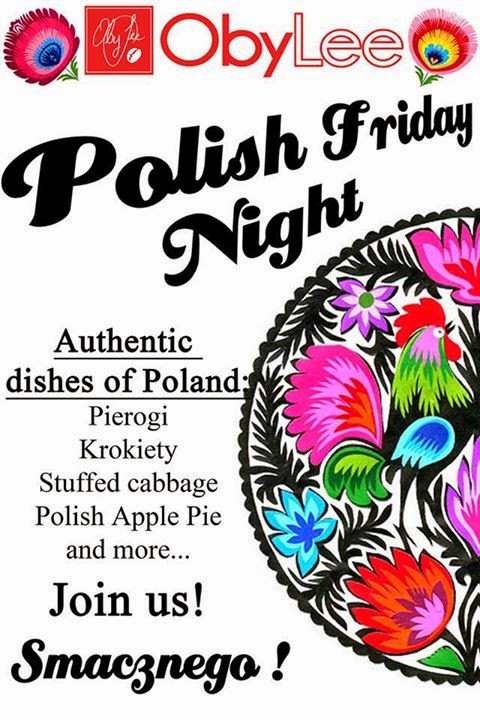 Specials will include half priced wines by the glass, additional wine selections and regular happy hour prices. In case it rains the party moves to Eventide's first floor Odd Bar. I fell in love with the band Juniper Lane in 2008, and now the Washington DC based group is returning to Iota this Saturday July 26. Juniper Lane is one of my favorite local bands ever since I learned about them from when they opened for Coldplay. Front woman Vivion Smith will mesmerize Iota's audience Saturday with her vocals, keyboard skills and stage presence. Opening up for them will be Against Grace and Stella Mira. Shows start at 9pm with a $12 cover for all three bands. This Friday July 25 local musical genius Justin Trawick hosts a live podcast taping of The Circus Life at Iota. 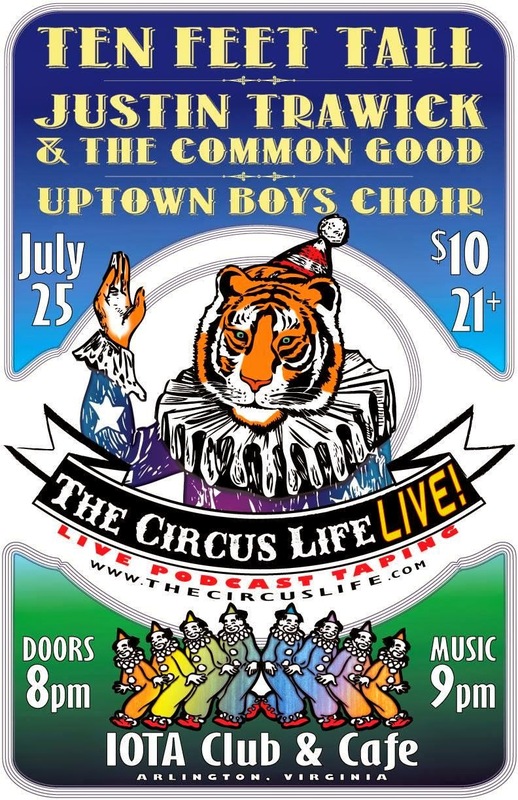 The Circus Life is a series of interviews, stories, and live performances by local and national acts such as this week's The Common Good, Kevin De Souza as Uptown Boys Choir and funk band Ten Feet Tall. Music starts at 9pm and only a $10 cover gets you in for all three performances. This Thursday, July 24 A-Town is hosting live music in its main room. 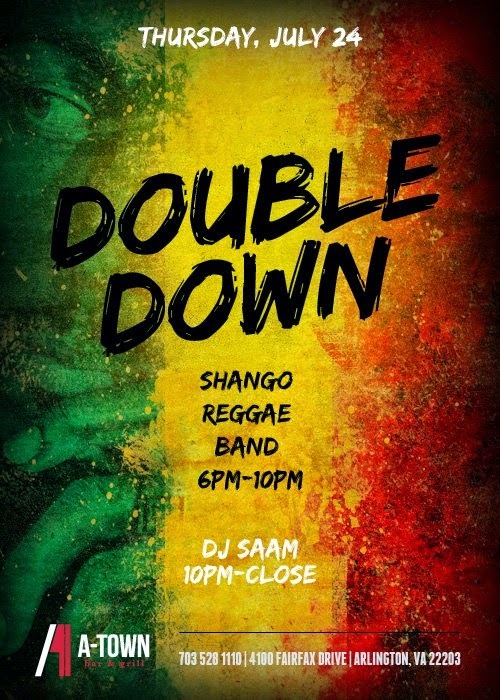 Usually known for debauchery and crazy Sunday Funday brunches, the reggae band Double Down should provide a different type of entertainment from 6-10pm. After 10pm the DC based DJ Saam takes the spinning booth and keeps the music going until close. 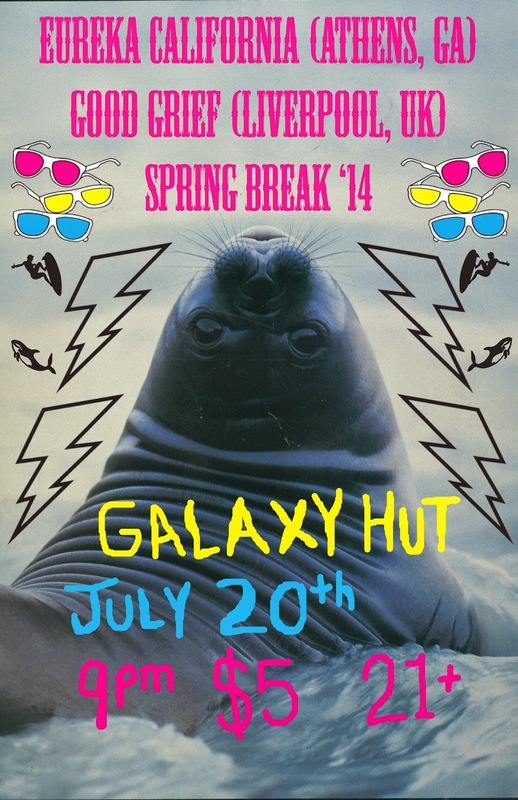 This Sunday July 20, Georgian based indie rock band Eureka California is rocking Galaxy Hut's cozy space. The spontaneous duo is touring the east coast and playing this weekend in Clarendon with the British Good Grief. Eureka California is celebrating their second album in less than two years, with music that is like being "Torn between rocking out and giving up, their live show blurs the line between comedy and tragedy in a way that borders on performance art, a band who appreciates the dumb jokes as much as the funny ones, and yet on a good night they're one of the best bands you could ever hope to hear." Music starts at 9pm and cover is $5. 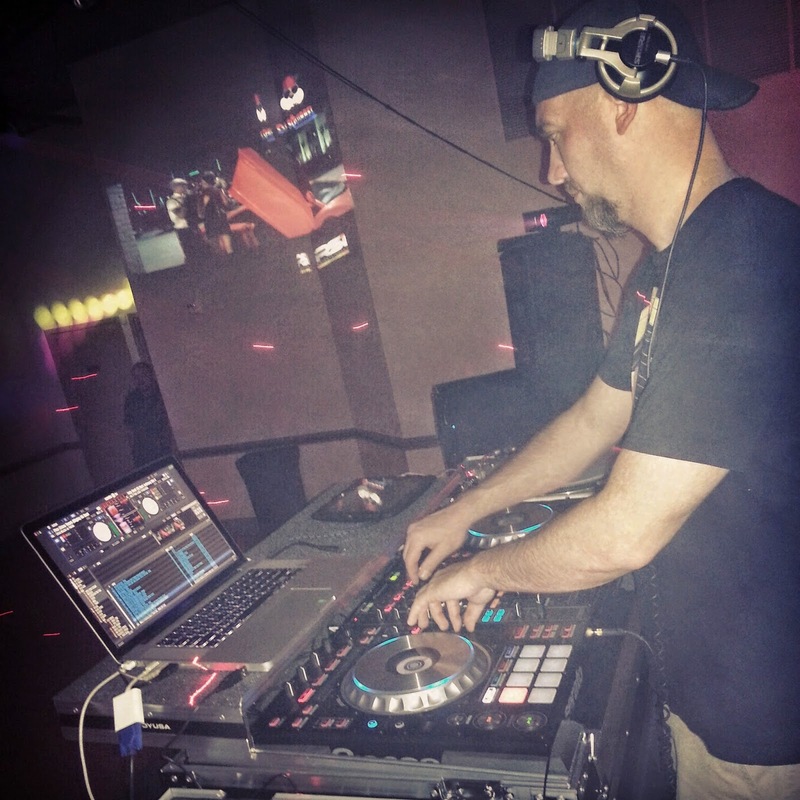 DJ Squirrel is returning to Clarendon Ballroom this Friday July 18. You can get a preview of his pop/rap/top 40 mixes on Soundcloud. DJ Squirrel does a good job of reading the crowd and taking request, while always keeping the beat going with variety of popular songs highlighted by music videos on two projectors. Hopefully Ballroom's massive rooftop will open at 4pm if it doesn't rain again. The main level dance floor opens at 5pm, and happy hour goes from 4-8pm with specials like $2 Bud Light bottles, $3 Yuengling cans and $3 Blue Moon drafts. It's free admission before 10pm, then the main floor music and $5 cover charge start after 10pm. You now Maryland based O.A.R. from songs like Peace, and now is your chance to see them live at Clarendon Ballroom this Thursday July 17. Of a Revolution is known for their live performances especially in the summer, so this early show starting at 1pm is not to be missed. The catch is you can't buy tickets. 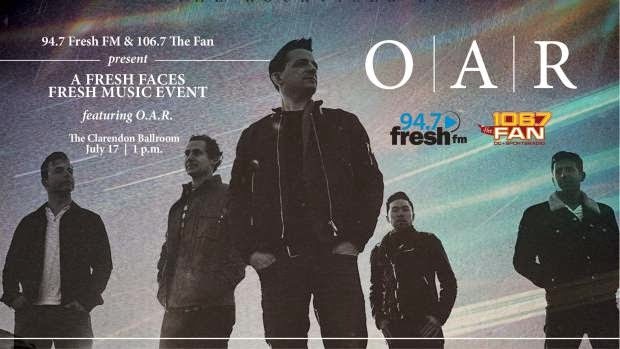 Instead, you must listen to local radio stations 94.7 FreshFM and 106.7 The Fan to win tickets to this special show by calling 877-947-0947 when you hear the on air cue. 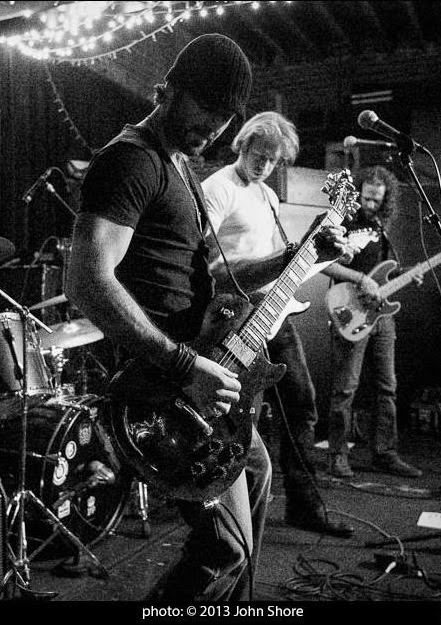 DC local 4-man hard rock Lindsey Buckingham Palace returns to Iota this Friday, July 11. The band has played at Iota several times recently and is welcoming a new drummer Made Ployamornrat to their crew to fuse various music styles of power pop, rock and roll, and metal. 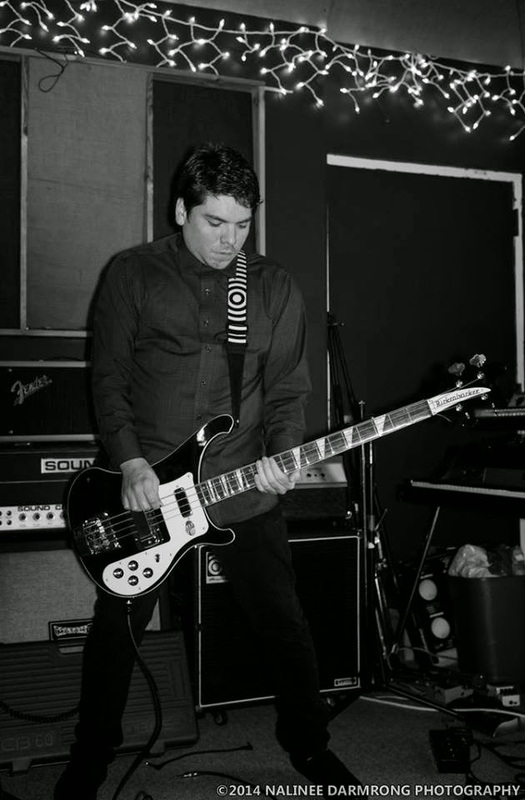 Even though the band is relatively new since forming in January 2013, two of its members Mike Hill and Mark Giaimo have been friends since their teenage years. The combination of old and new faces to this band should result in intense and face melting performances. Also playing with them Friday is folk/bluegrass Hearts & Spades as well as Chris Swallow opening for the night at 9pm. Cover for all three shows is $10. Jay's Saloon is still serving cheap beer and eats as Clarendon's defacto dive bar, but its no surprise to anyone that their days are numbered. Since opening their doors in a converted house in 1993, Jay's owners Kathi and Jay Moore have kept it an unpretentious neighborhood bar that contrasts sharply with Clarendon's popular night life spots like Spider Kelly's, Ballroom and Mad Rose. Ever since their landlord would not renew their lease and have been on a month-to-month arrangement there has been rumors and talk of Jay's closing. This summer is no different, as progress to raze Jay's and the neighboring car dealerships is progressing slowly. Clark Realty recently submitted an updated plan on what they want to replace the 3100 block of 10th street with. 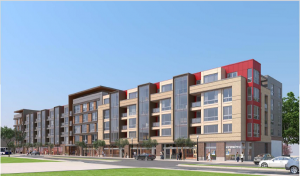 The new development is now named 10th Street Flats and will feature mixed use buildings with 136 apartments and thousands of square feet of retail and office. It will also include 9 strange live/work units, similar to those in the Garfield Park Apartments that are still vacant. While the new development might help bring more much needed foot traffic to 10th street, the news should really server as another reason to visit Jay's outdoor patio at least one more time this summer. On Sunday July 6, the newly formed Clarendon based band Invisible Witches makes its debut show at Iota. 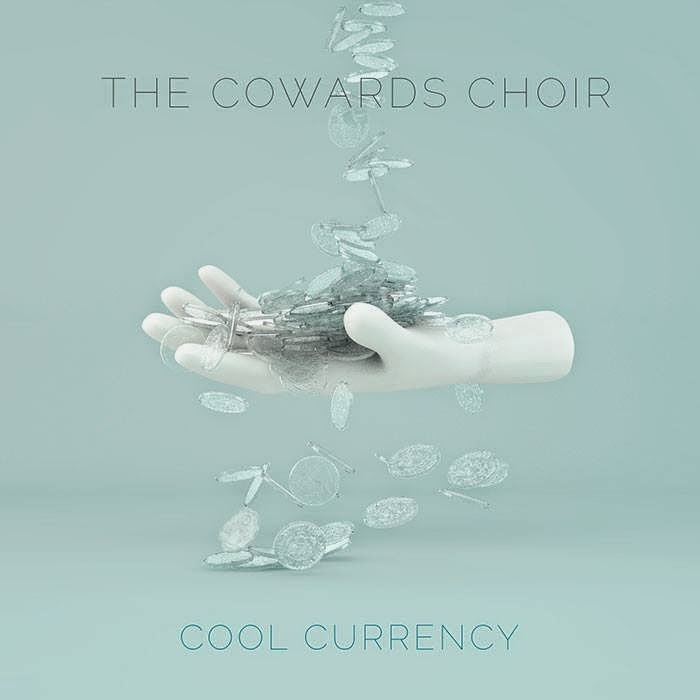 The ferocious and filthy new noise-rock trio includes Joshua Padgett formally of The Chance on bass and vocals, David Barker on guitar, and the Simon Ley playing drums. This will be the first time the three perform live as their new band and will be joined by Harness Flux, who recently played at Galaxy Hut down the street. Show starts at 8:30pm and cover is $10. 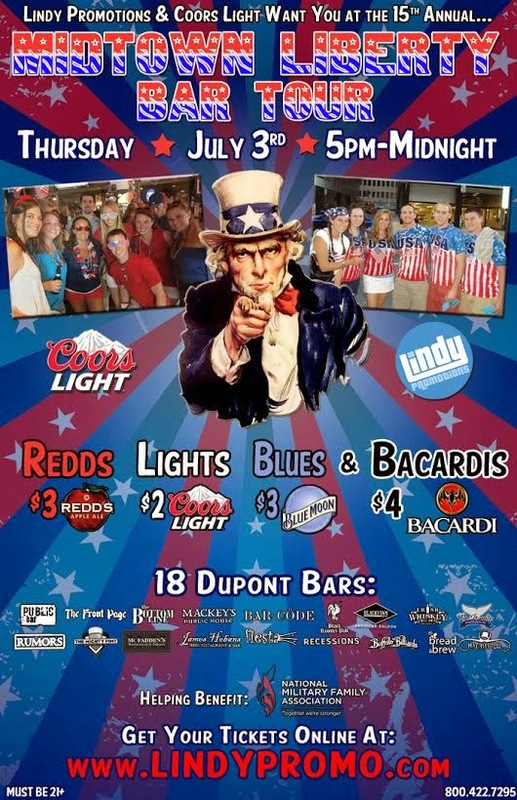 Start the celebration of this year's Independence Day early with the Midtown Liberty Bar Tour in Dupont Circle, DC on Thursday July 3rd. 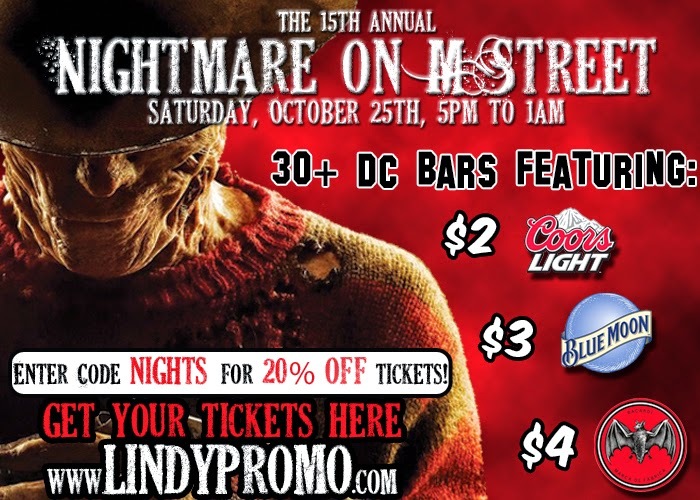 The bar crawl organized by Lindy Promotions starts out at Mackey's with registration from 5-10pm. Tickets are $10, and National Military Family Association will be on site collecting donations with Lindy Promotions matching what they take in. Use my promo code NIGHTS to get 20% off your tickets online. 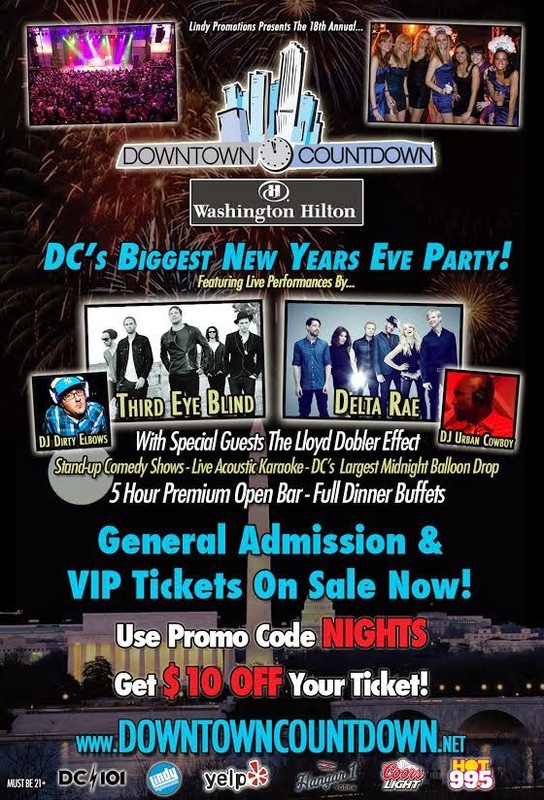 Ticket price includes drink specials at 18 DC bars including Mackey’s, Public, The Front Page, Rumors, Recessions, Fiesta, James Hobans, The Mighty Pint, Madhatter, McFadden’s, Irish Whiskey, Bread & Brew, Sign of the Whale, BlackFinn DC, Bottom Line, Buffalo Billiards, Black Rooster, and Barcode. Specials include 2 Coors Lights, $3 Redd's Apple Ales, $3 Blue Moons and $4 Bacardi drinks. 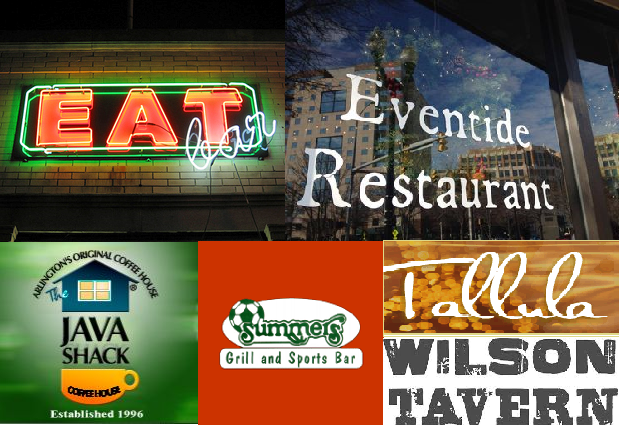 Watch out Clarendon, there is yet another huge bar crawl coming to our neighborhood. 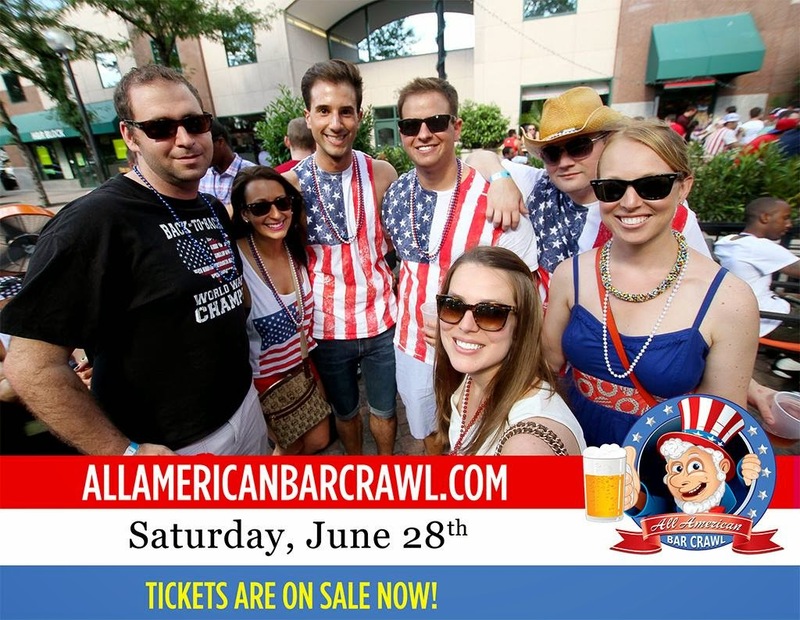 Last year's turnout for the All American Bar Crawl was huge with thousands of party goers enjoying the hot weather in red, white and blue crazy attire. On Saturday, June 28 Project DC has convinced over a dozen local bars will participate in the 2-9pm event with drink and food specials. Included in the $15 ticket ($20 day of) will be a mug, beads, raffle ticket, and $2 Bronx pizza slices (cheese only, with toppings are $3 or $4 per slice). The party starts with registration at either Clarendon Ballroom, Velocity 5 or Mad Rose. There will probably be huge lines like last year so come early. 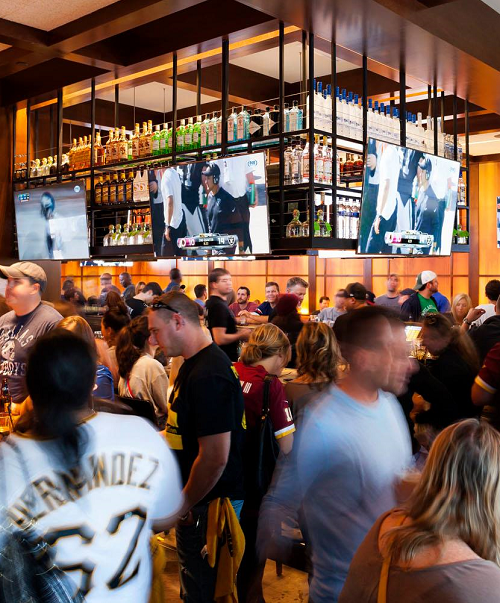 With all the recent controversy surrounding bar crawls and the debauchery it can bring to the neighborhood, it will be interesting to see how this summer's giant party works out. 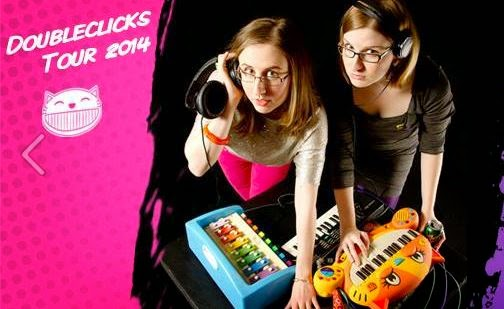 Electric piano trio The Fire Tonight are rocking with their 8-bit inspired tunes at Iota on Friday June 27. Joining them are well known DC folk/rock band. The Beanstalk Library. Out of coincidence,Ryan Walker of The Beanstalk Library and Stephen Russ of The Fire Tonight share the same birthday. Because of that, with your $12 cover you also get a free copy of The Fire Tonight's latest album How Could Anyone Do This? Philadelphia based tinmouth will start the night out at 8:30pm. 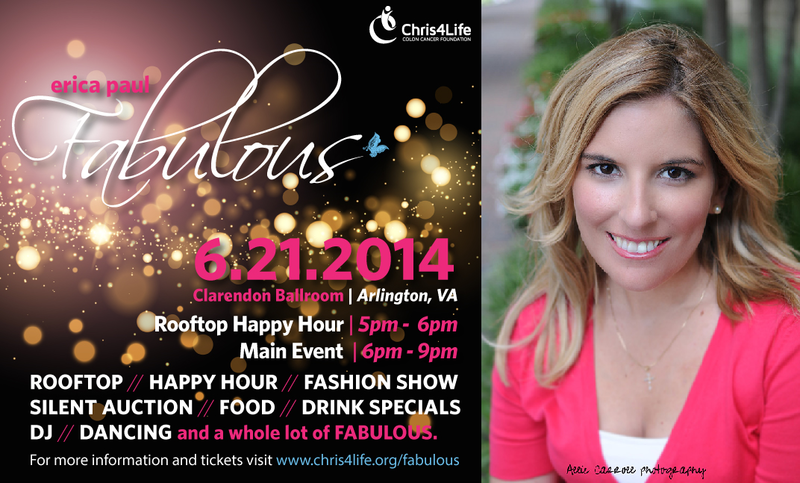 Clarendon Ballroom is hosting the 4th Annual Erica Paul Fabulous fundraiser event on Saturday, June 21. The night begins with a rooftop happy hour at 5pm and then food, dancing and a fashion "dress up bar" by Current Boutique and The Tailored Man. on the main floor 6 to 9pm. 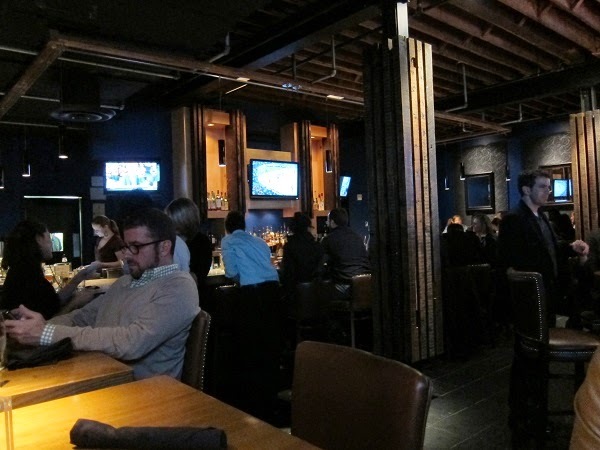 Drink specials include half price beer, wine and rail drinks. Tickets are $30 online or $40 at the door.